A new sushi bar has opened its doors in the neighborhood. The fresh addition to Williamsburg, called Minami Lounge, is located at 299 S. Fourth St. It specializes in cocktails and small fusion plates as well as sashimi and sushi rolls. On the menu, look for small bites like the spicy tuna "pizza," yellowtail collar, fresh oysters and avocado fries. Bigger plates include a variety of sushi rolls, as well as a king salmon poke bowl and seafood udon alfredo. At the bar, the largely tropical-themed cocktail list features a sake spritzer with lemonade and seltzer, as well as the Guavatini (vodka, St. Germain, lemon, guava juice) and a Cucumber Cosmo with vodka, lime, cucumber and syrup. With a five-star rating out of two reviews on Yelp so far, the early signs look good for Minami Lounge. "Everything we ate was delicious and well priced! 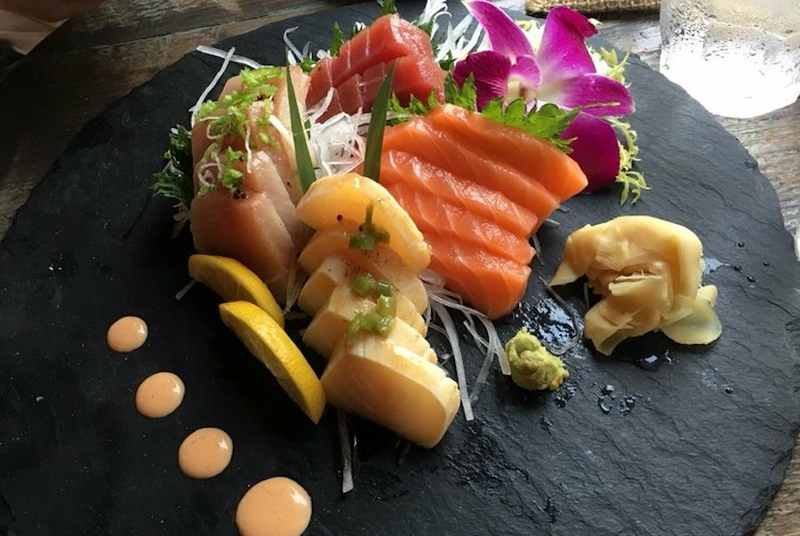 It is now my go-to sushi spot and will be returning frequently," Amy L., who was among the first Yelpers to review the new spot on August 18, wrote. "Delicious appetizers and sushi!" And Yelper Christian P. was impressed by all the food but particularly recommended the seafood udon alfredo: "This udon dish is so good! A must have!"